Hey, so im trying to install Amahi 11 on my Proliant Gen10. 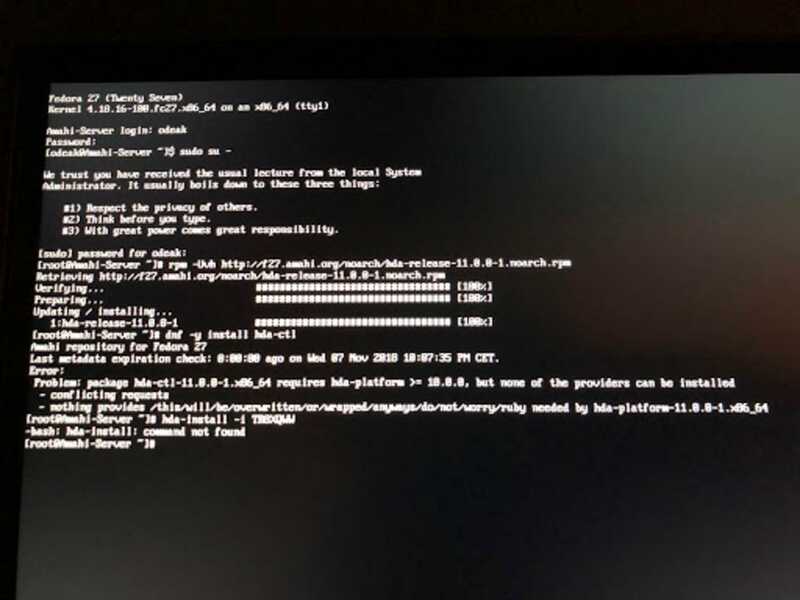 Fedora 27 installed fine but get this (see attached print screen) when trying to install Amahi, anyone got ideas on what the problem could be? We have released hda-platform version 11.0.1 with what we hope is a fix for this issue. If the system is still up, you may have to do "yum clean metadata" for the dnf system to pick it up and the dnf install to work from that version. A new install should "just work". Please report as to how it goes.